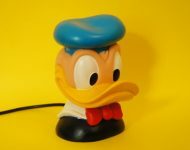 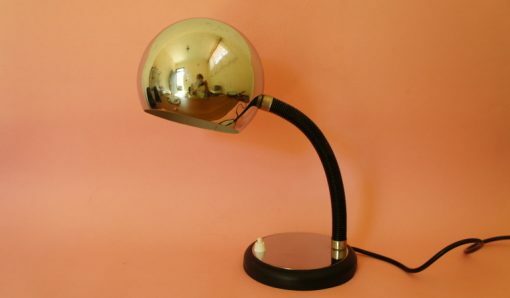 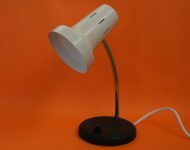 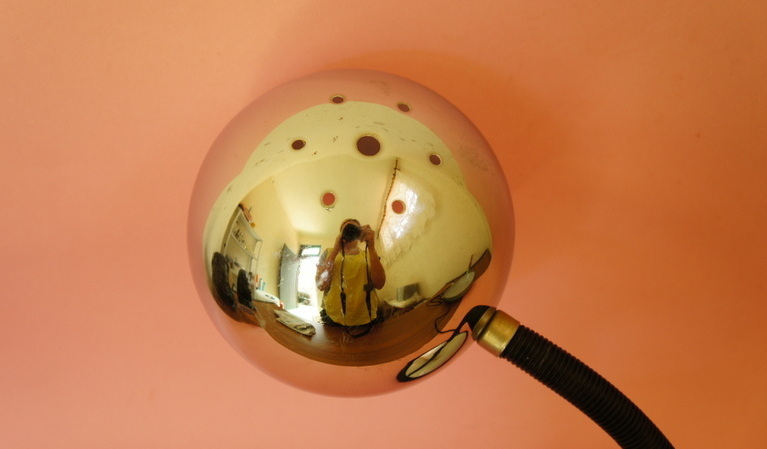 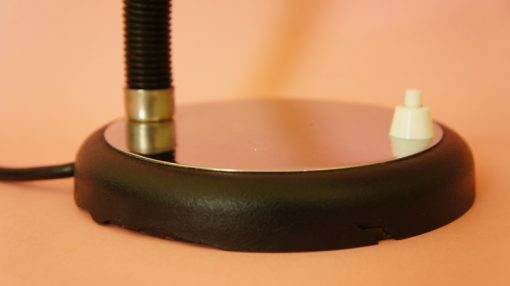 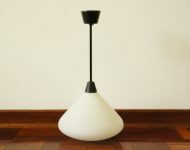 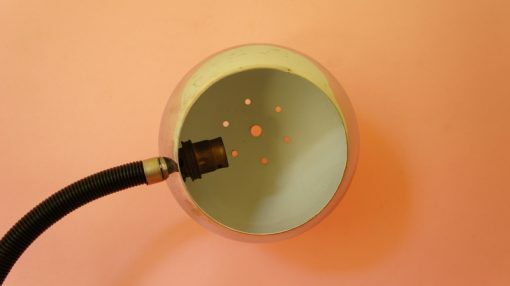 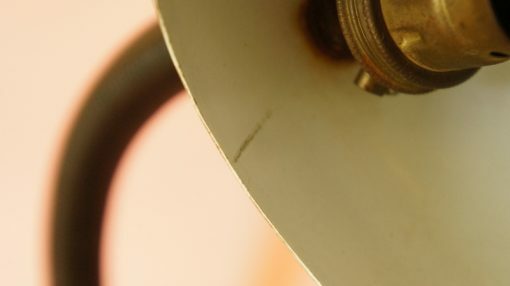 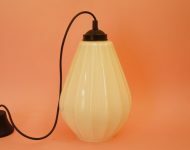 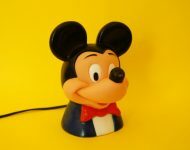 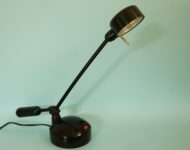 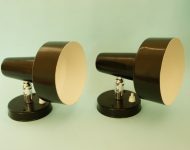 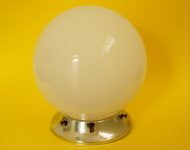 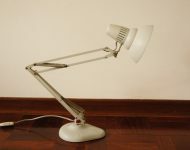 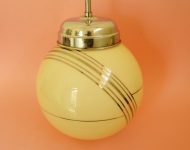 This shade on this retro desk lamp is very similar to the Targetti lights that we sold last week, and while it’s quite a familiar shape, it’s not that common to find the original retro versions so I got super excited when I spotted this lamp – in fact so excited that I didn’t realise that the base was quite badly damaged! Once I spotted that the plastic on the base was cracked I asked Justin if there was anything that we could do (we thought maybe to cut the plastic away), but we decided that it was best to leave it as is. 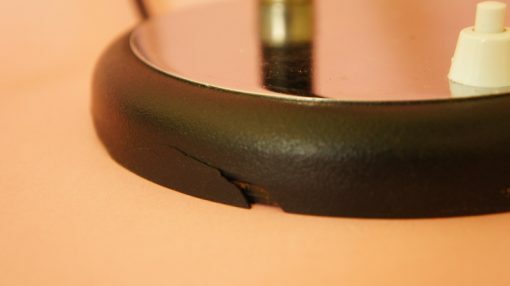 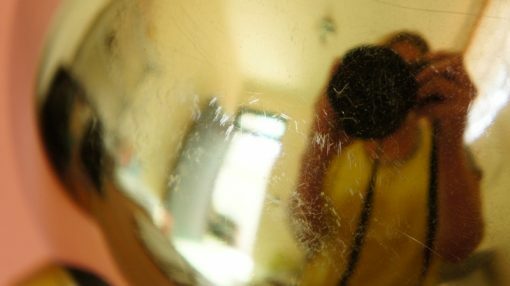 As badly damaged as it is (and as disappointing as that is!) 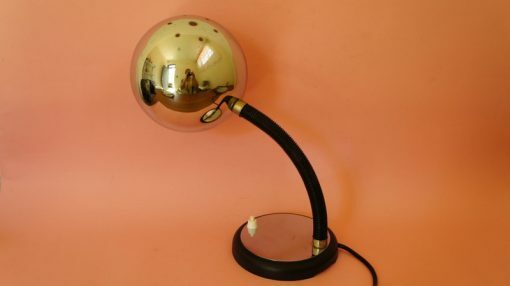 the lamp is still perfectly functional and still very attractive! 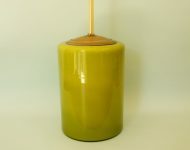 The shade is really what grabs your attention, and if you angle the base in the right direction you won’t notice it too much – but there’s no getting away from the fact that it’s not in great nick, and as such the price reflects that. 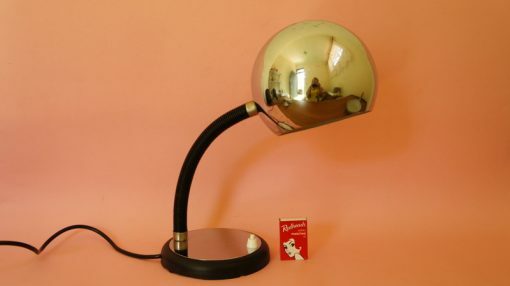 If it was perfect we’d be selling it for at least double this price, if not more – so as with everything in life, there are plusses and minuses!